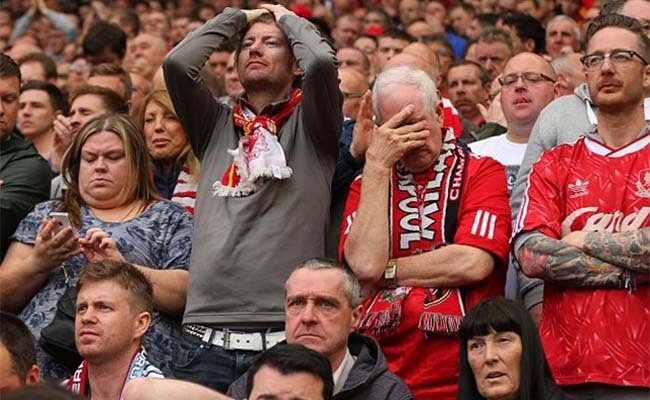 Liverpool suffers as champions league returns ..
After two weeks of the absent of the most elite league across Europe, the UEFA Champions league is back and ahead of the exciting fixtures for this week, Merseyside team Liverpool will be locking horns with French champions Paris St German. Ahead of the mouthwatering fixture, they are growing concerns over the availability of Sadio Mane for the game on Wednesday. The Reds’ No. 10 played the full 90 minutes at Watford over the weekend, ending the game as the centre-forward. However, reports from the medical team at Anfield is that the Senegalese international is suffering from illness and is a doubt for the game which will hold at the Park De Princess in the French capital. The player who was heavily involved as the Reds ended up scoring three second-half goals in their premier league game this weekend is now a concern for Jurgen Klopp as the squad prepares to head to France. Jurgen Klopp held a training session with his team at Melwood on Tuesday before the Reds set off for Paris. Pre-match press conferences and a final training session will be held in France—with Mane currently due to appear alongside the manager to speak to the media. PSG vs Liverpool predicted lineups: Will Liverpool paint Paris red tonight?? Manchester United boss Jose Mourinho will not get himself away from controversies after questioning UEFA Champions League organizers. The Mourinho men began their 2018/2019 European journey with a 3-0 win over the Swiss side, all thanks to the brace from French midfielder, Paul Pogba and another strike by Anthony Martial. 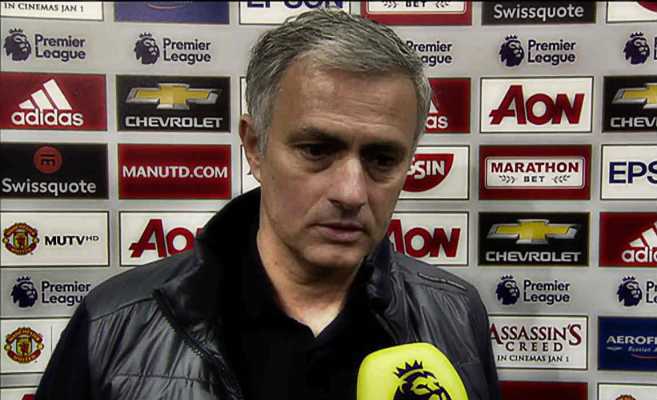 Mourinho questioned why the Artificial pitch at the Stade de Suisse would be approved by the competition organizers knowing the height of it. 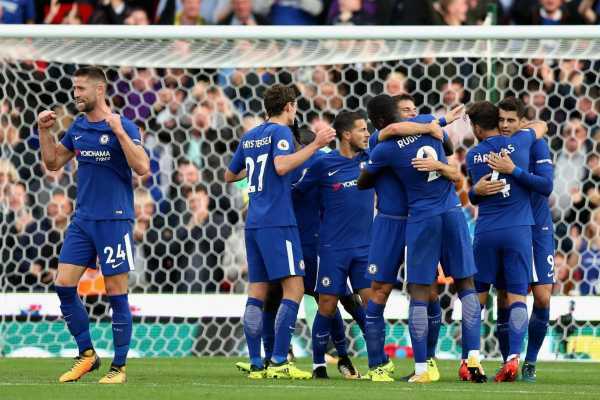 The former Chelsea boss said although the game was won but it is already having a negative effect on his players in training. He said his players now feeling ankles, back pains, sore which to him is a setback to the fitness of his players. The Old Trafford boss says it will be difficult for other teams who are not used to such pitch to compete favourably. He celebrated his side’s win and hinted that other group members, Valencia and Juventus will get a win against the Swiss side. Mourinho has been involved in lots of controversies and pundits have begun to react by claiming that the Portuguese manager does all of those consciously to become the talk of the day. He has severally been involved in a bust-up with the media. Arsenal’s Thursday against Vorskla in the Europa League was obviously more about Spanish manager, Unai Emery who has had a history with the competition. A brace from Pierre-Emerick Aubameyang and two other goals from Mesut Ozil and Danny Welbeck made Arsenal coast a 4-2 win in front of their fans at the Emirates Stadium. However, the Spanish manager is not new to this with the Thursday night win confirming his dominance in the competition as he set a record of 32 wins, the most in the history of the competition. The former PSG manager was able to make this name for himself in his days at LA Liga side, Sevilla where he won the title for three consecutive years within 2013 to 2016. Emery now returns to the familiar terrain after his spell at French side, PSG and as expected, it was a win for him. His record and familiarity with the Europa League add to the reason why the North London side has been pointed to as one of the favourites the League. Arsenal are believed to scale through the group but are expected to face the real test when they get to knock out stages. Meanwhile, Emery has been making efforts to instill his style of play on the team and that informed his decision to start new recruit, Bernd Leno so as to ensure he gets acquitted to the pattern that is being taught. The Uefa Europa league is expected to commence tonight with Chelsea travelling to Greece where they will be playing PAOK. It is not a hidden fact that the Blues fans can go any length to support their football club and one of such is travelling all the way to Greece. However, a new report from Greece confirmed that two Chelsea fans were assaulted by people suspected to be PAOK fans in the early hours of this morning. According to the Greek police who also confirmed the incident the incident occurred at central Thessaloniki, Greece. The Police went on to disclose that the two Chelsea fans have received immediate treatment as the injury was not too serious. According to a further report, the assailants all escape but the surprising thing is that the Blues fans who were the victims have refused to press charges making the matter dies off. The last time Chelsea participated in the Uefa Europa League was in 2013 when they defeated Benfica to win the second rated trophy in Europe. Apart from the Blues, another English club that will be playing in the UEL is Arsenal. The Blues are expected to maintain their 100 per cent win as they take on PAOK this afternoon. Coach Sarri Maurizio and his boys have touched down in Greece where they will be playing their first game against PAOK in the Uefa Europa League tournament this season. The Blues jetted out of England leaving the likes of Eden Hazard, Matteo Kovacic, and David Luiz Behind. However, the surprising thing is that as the Blues squad arrive in Greece, Sarri has immediately ordered his boys to commence training. The players have been plunged into rigorous training to get them accustomed to the weather in Greece and also shake off their body ahead of the game tonight. Chelsea hopes to lift the trophy again this season as they had done back in 2013 when they defeated Benfica in the final. The Blue also hope to maintain a 100 per cent win in all tournament, having been able to achieve the feat in the EPL, they also hope to replicate that in the UEL. Going by statistics, the Blues are expected to win tonight match against PAOK. Chelsea dropped to the Uefa Europa League after failed to make it to the top four on the EPL table last season. After this match, Chelsea will be making a return to the EPL where they will be playing against West Ham over the weekend. The Uefa Europa League will commence this afternoon as Chelsea will be playing against Greek side, PAOK. Chelsea has maintained a 100 per cent win in the English Premier League and hope to continue that in the UEL. However, the Blues will miss many of their key players who have stayed back in England. 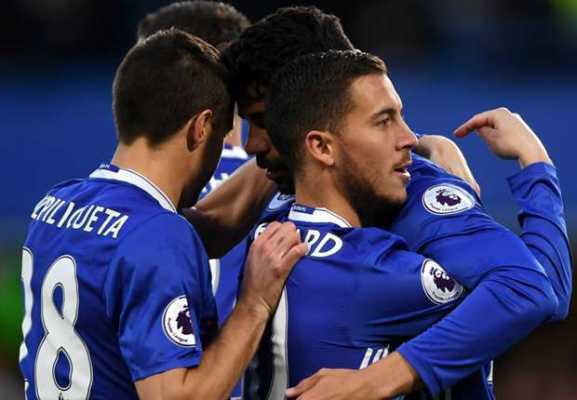 The like of Chelsea Talisman, Eden Hazard was dropped from the squad, the Belgium star disclosed that he is tired after the Blues weekend match over Cardiff. Real Madrid loan out player, Matteo Kovacic will also be missing in action following the injury he sustained in the weekend match. The likes of Ruben Loftus – Cheek will also not be playing due to the injury he sustained during the international holiday, Cesc Fabregas is yet to be fit despite the return to training. With all of this insight, there are bound to be some changes in the Blues first eleven. Goal post – Chelsea new expensive goalkeeper, Kepa is likely to rest while Willy Caballero will start. Defense: Marcos Alonso, Davide Zappacosta, Andreas Christensen, and Gary Cahill. Midfield: Ross Barkley, Kante and Ethan Ampadu. Attack: Pedro, Willian, and Alvaro Morata. Manchester United unsurprisingly defeated their Champions League opponents Young Boys last night by a 3-goal margin. 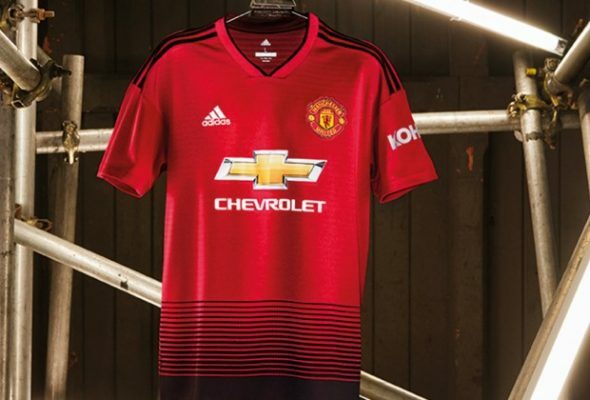 The Red Devils took the lead in the 35th minute of the encounter as Paul Pogba curled home a brilliant shot to the bottom corner. The Frenchman was on the ground to double the visitor’s lead just before half-time when he scored from the spot after Young Boys defender was adjudged to half handled Luke Shaw’s cross in the 18-yard box. Martial scored the last goal of the night after a brilliant assist from his compatriot Paul Pogba. The Frenchman has come under huge scrutiny from the Red Devils faithful for his uninspiring performances in recent weeks. However, the 25-year-old proved his qualities against Young Boys last night as he was behind every brilliant move made by the team during the game. Two goals and an assist were a deserved reward for his perfect showing at the middle of the park last night. Both players started together for the first time, yet they showed great understanding throughout the encounter. Shaw was awesome at the left-back position as he dashed forward to join the attack and also made a quick run to prevent their opponents from attacking through his side. Just as the 24-year-old England international, United youngster, who is making his debut for the team, Diogo Dalot was wonderful throughout the game and he shows his readiness to make the right-back position his own in no time.